Found in Playa de las Americas, one of the most popular tourist resorts in Tenerife, the Apartamentos Paradero Ii provides studio apartments which are perfect for couples, families and groups of friends. The Apartment complex is just a short walk to the resort centre with its range of restaurants, bars and lively nightlife while guests can use the facilities at the nearby Caribe Apartments which includes a swimming pool. The Siam Water Park and several shopping centres are nearby as is the Golf Las Americas Course. 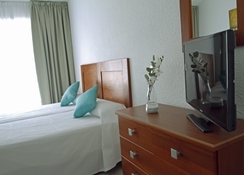 The Apartamentos Paradero Ii provides basic but comfortable accommodation so you can explore everything in the bustling tourist resort town of Playa de las Americas. 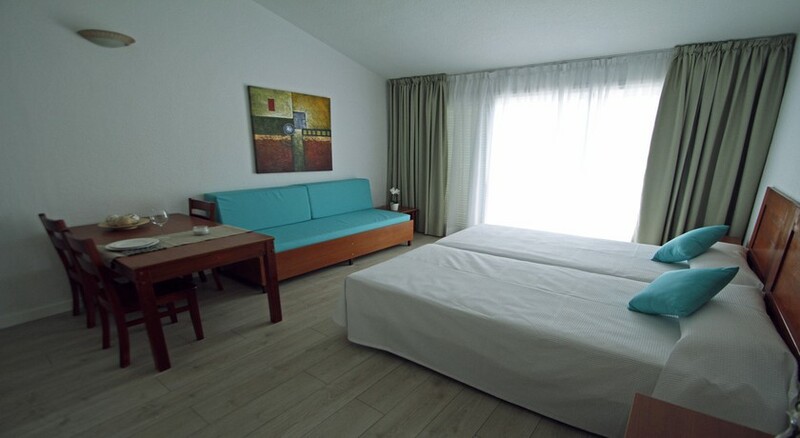 The Apartamentos Paradero Ii are in the busy tourist spot of Playa de las Americas and it is only a short walk away to the lively nightlife scene. The apartments are also near to the Siam Water Park (0.4 miles) and several shopping centres including the Safari Shopping Centre (0.7 miles) and San Eugenio Shopping Centre (0.8 miles). The Tenerife Sur Airport is 9.3 miles away from the property. There are 41 apartments on offer at the complex. They are all Studio Apartments that can sleep three adults and one child. 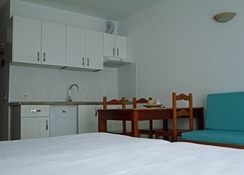 The apartments have a furnished balcony or terrace, a kitchenette with a fridge and tea and coffee making facilities, TV and dining area. 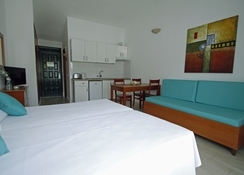 The accommodation at the Apartamentos Paradero Ii is self-catering. There is a kitchenette in each apartment which allows you to prepare basic meals. You will find a supermarket less than 100m away from the property. Given its close proximity to the centre of the bustling Playa de las Americas you are only a short walk away from a wide selection of bars, cafes and restaurants and there is a French and Asian restaurant on the same street at the apartments. Staying at the Apartamentos Paradero Ii means that you can use the swimming pool at the nearby Caribe Apartments which is just a short walk. The nearest beach is 0.6 miles away which you can have some fun at the Siam Water Park which is also within walking distance of the apartment complex. Golfers can head to the Golf Las Americas Course which is 0.5 miles away and there are numerous shopping centres that you can visit during your stay. There is a mini-golf facility 0.4 miles from the property. Nice clean modern rooms with a good size balcony. Friendly staff. Unfortunately you had to walk to the main hotel for the swimming pool but apart from that, we loved it.